Ru has a big cardboard box obsession, whenever he sees one he just has to get inside it or underneath it. 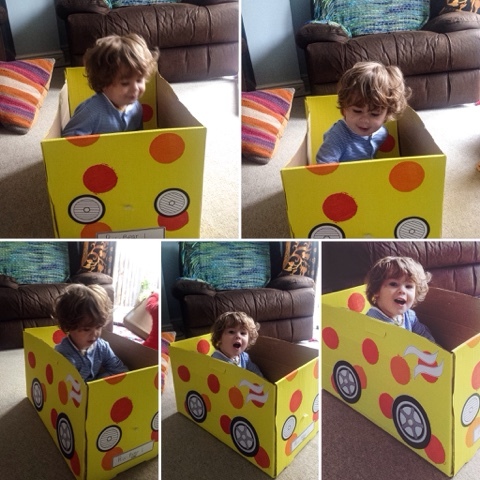 He'll quite happily sit inside a box for a few hours just playing with his cars or watching CBeebies. 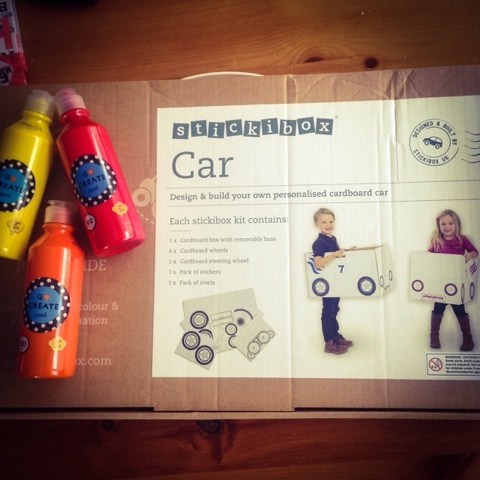 When Stickibox got in touch and asked if I wanted to review their cardboard car I responded like the flash and said YES!! 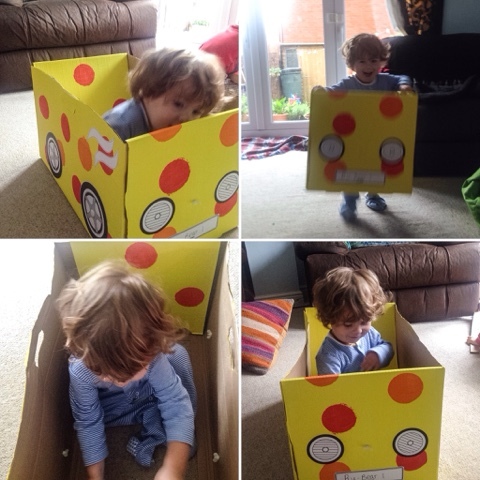 I knew instantly I was going to attempt to bring Ru's two loves together....Mr Tumble and a box. I bought some cheap washable paint from Tesco's and set about painting up the cardboard once all the boys were in bed. It took me two nights to paint, then once it was finished painting I left it on the table. Ru went into the kitchen in the morning saw it splayed across the table, smiled and started to sign Mr Tumble!! You could see the pure delight spread across his face, even though it was no where near looking like a car. I could tell he was very impressed! We then took it into the lounge to start turning it into a car. Folding it into the car was as easy as pie and the twins did most of it. The twins also helped by putting the stickers on, whilst Ru helped me with the wheels and steering wheel. After I'd attached them to the box he jumped straight in and started giggling. 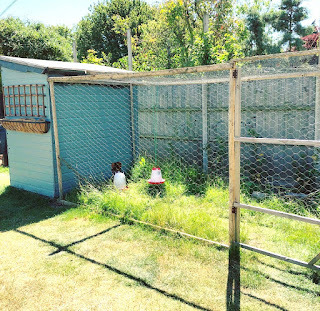 As you can see Ru was chuffed to pieces with it, he spent most of the day in it and even tried to take it along to Nana's house with us. Children and boxes are like cats and boxes ...... they just go. I'm sure you'll be hard to come by a child who hasn't enjoyed turning a box into something magical and fun. 1 x cardboard box with perforated base and handles. 1 x card steering wheel. 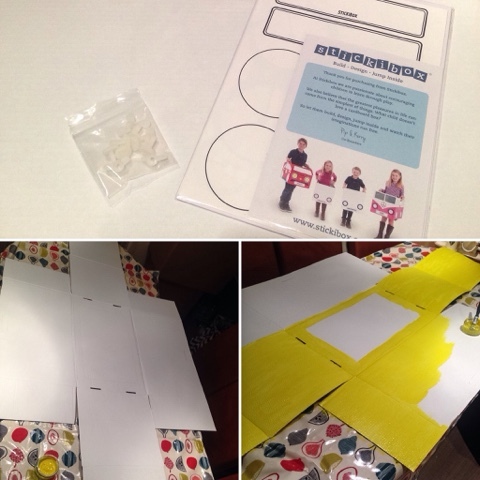 Ready to colour stickers including lights, number plates, dash board and badges. 5 x plastic rivets with winged head for secure fitting. We met through our children and have become great friends. 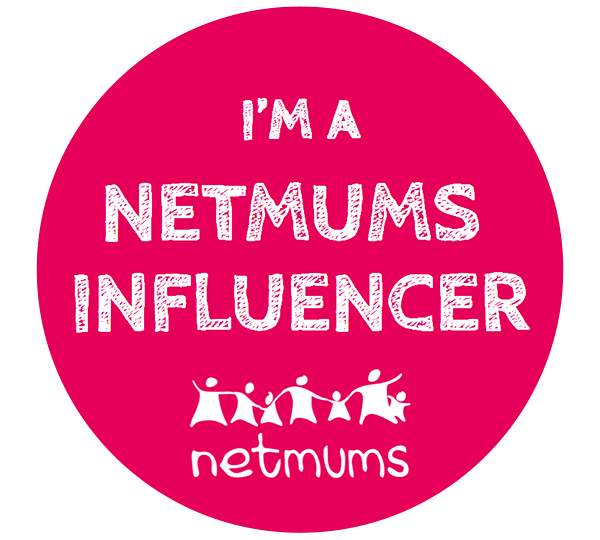 Having spent the last few years as stay at home mums and with the imminent start of our youngest children at school, we wanted a new challenge in our lives. 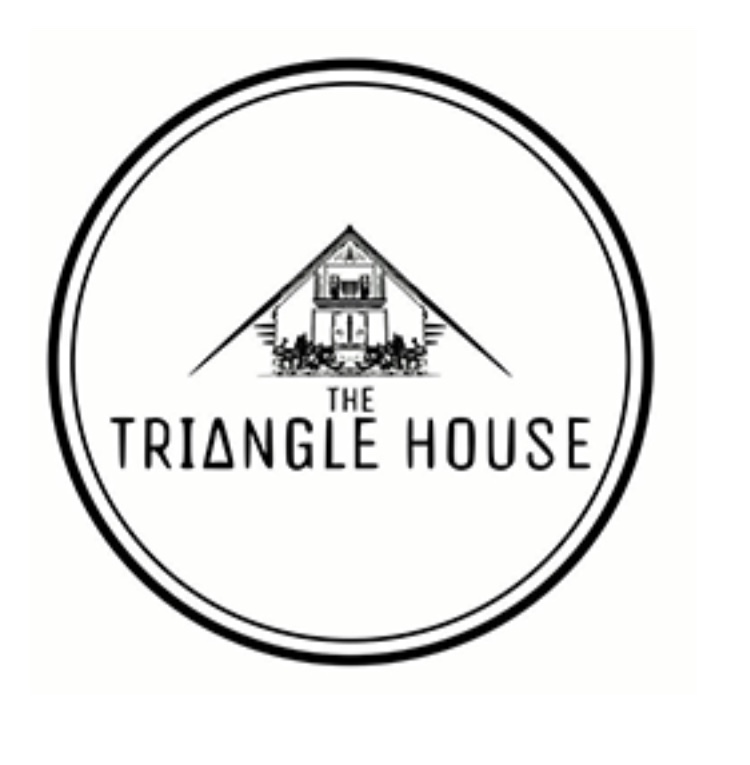 During many get togethers with our 4 children and over many cups of coffee we started to think of business ideas that would fit in with family life. Although we had many crazy ideas, it was at a play date that we struck upon an idea that would become our light bulb moment. 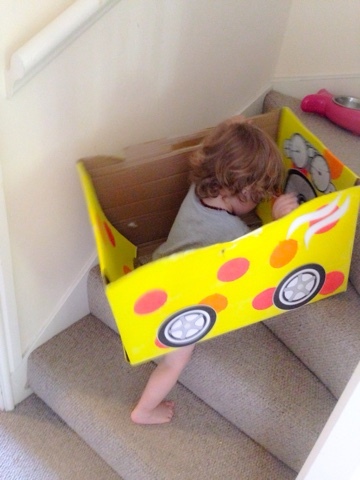 During this play date our children decided to convert an old cardboard box into a racing car. We loved the way they worked together to create their own vision of a car and were also having lots of fun at the same time. 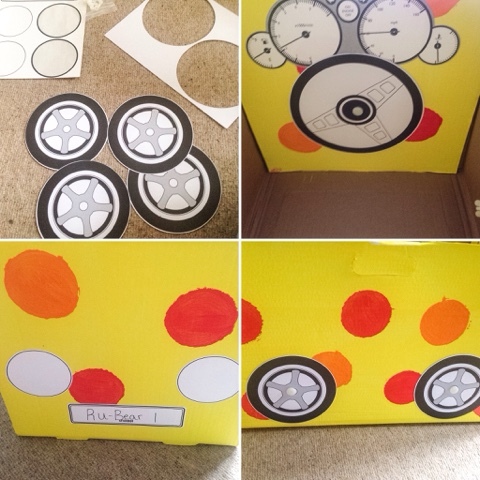 After many requests from our children to help them make parts for their car we came up with the idea to create cardboard craft kits that give children the freedom to customise their own cardboard boxes. This was the inspiration behind Stickibox.